AMPS offer a free sampling service to all growers. 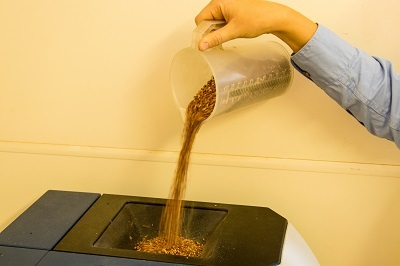 Whether you are an existing customer or new we are happy to sample your grain and grade it before you start harvesting your crop. High moisture, light weight grain, Impurities etc. can really affect the price of your commodity. Being able to use AMPS as a free sampling service helps the grower decide when the best time to begin harvesting is and discussing the best options for marketing or warehousing your grain. During harvest time we ensure our seasonal team are on hand in the sample stands ready to do any testing for our customers.